The Short- While it may feel overlong and slow at times, Christopher Nolan's most ambitious film to date is absolutely gorgeous. A complicated almost analytical script is a good enough mix of science and story that it shouldn't lose your interest but it's Nolan's visuals that are the most memorable. No matter how far-fetched it sounds Interstellar will get you believing in its crazy science and that's thanks to the substance of its characters and story. Christopher Nolan is a director whom has always had an eye for ambitious fair, whether it's taking on Batman or the topsy-turvy world of Inception, Nolan has always had a knack for putting something beautiful but complicated on screen. Interstellar is by far Nolan's most ambitious film; it begins documentary style with interviews of older people describing what this new dust bowl America is like. Then we are introduced to former NASA pilot Cooper, now relegated to the far less dramatic role of farmer. Coop and his daughter Murph (Mackenzie Foy, later Jessica Chastain) stumble on the now secret site for NASA. The film takes a complicated turn when Cooper meets Professor Brand (Michael Caine) who claims that thanks to a wormhole placed somewhere around Saturn we have been able to travel to different galaxies to find one that is habitable so that we may one day leave Earth. It's all very complicated and mathematical and probably impossible but even the complicated analytics are profoundly interesting. Interstellar is not an action packed Star Trek-esque film and it's not one of those sci-fi films that turns into survival horror half way through (a la Alien, Prometheus, or Sunshine), it's still one of the most interesting Sci-fi films you have seen in recent memory. Interstellar is written by brothers Jonathan and Christopher Nolan and while the script attempts as best it can to provide insight into the science and mathematics that drives it's character's to boldly go where no one has gone before it never finds itself drowning in the talk about time, space, black holes, relativity, and interstellar space travel, in fact it finds itself not explaining itself as much as you'd think it would. In fact there are many times when the dialogue could fall apart in an attempt to explain everything and instead the Nolan's ask you take their word for it. Not only is Nolan's story inherently fascinating but it's also an emotional journey into family, love, and survival. 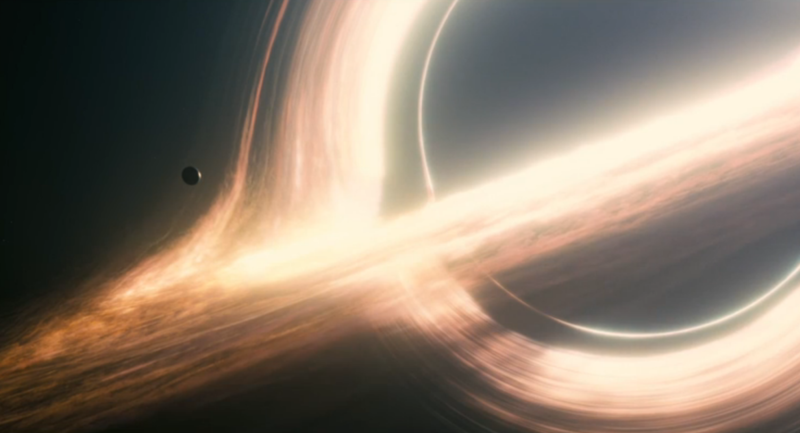 There are a few moments in Interstellar that may have your eyes water just a little bit, especially when it comes to the relationship between Murph and Cooper, and Cooper's struggle between being the talented pilot in charge of this mission to save the world and fulfilling his promise to Murph to return home. At one moment Cooper is watching messages sent from his children to himself and his reaction to the messages is heartbreaking. It's also heartbreaking for the audience because once you realize just how much Coop has missed you begin to have similar reactions. The beginning of the film is a little slow and the script doesn't really get going till the films 45 minute mark. Once some of the mysteries begin to show themselves Interstellar begins to reach new heights. Interstellar is well written but it's also well casted, with Matthew McConaughey following up his best actor Oscar and his Emmy award winning work on True Detective as the lead and he shines as the films biggest asset. Mackenzie Foy (The Conjuring, Twlight: Breaking Dawn) as young Murph gives an good performance, it also might be the best of her young career. Anne Hathaway isn't given enough to give an award caliber performance but she does her best with what the Nolan's give her. Unsurprisingly Jessica Chastain also gives a great performance, even though her better role may come in December in JC Chandor's A Most Violent Year, Chastain who is right now the most prolific actress in Hollywood gives a heartbreaking performance as Murph, who is working with Professor Brand but is also angry with her father who seemingly abandoned her and her brother (Casey Affleck). Affleck is given very little to do and so is Topher Grace who plays a colleague of Murph's. Of course maybe the biggest surprise in Interstellar may be the appearance of Matt Damon as a scientist on a frozen planet. Damon is barely in the movie, and his appearance is one of the only things in Interstellar that I actually didn’t like. The role going to a known and talented actor makes sense but the character is poorly scripted and Damon in the role doesn’t seem right. As usual one of the most important aspects of a Nolan directed film is the visuals and Christopher Nolan does the best he can to keep the Planets they visit in the film within a certain reality. The first planet they visit is basically all water and it’s defining feature is that it’s uninhabitable because every 30 minutes or so you could get hit with a huge wave. The special effects for each planet are very cool and Nolan keeps even the film’s most important scenes looking as real as possible. Of course there is a lot of CGI but it never gets outrageous. Nolan did not work with cinematographer Wally Pfister on Interstellar because Pfister was busy making box office bust Transcendence; instead he used Her cinematographer Hoyte van Hoytema, whose next film will be behind the camera for Sam Mendes’ next Bond film. I don’t think Interstellar is Christopher Nolan’s best movie (Inception or The Dark Knight?) but it is definitely his most ambitious, and that is not a bad thing. Interstellar is an exhilarating, and beautiful experience that defies space and time but is still a memorable cinematic experience. Steven Panzarella has been reviewing movies for as long as he can remember, but his passion flourished while working at 88.7 FM WRHU, and writing for popgoestheweek.com. Steven is ProCreate's resident film critic. Starring- Matthew McConaughey, Anne Hathaway, Jessica Chastain, Michael Caine, Casey Affleck, Mackenzie Foy, John Lithgow, Wes Bently, Bill Irwin, Josh Stewart, David Oyelowo, and Matt Damon.